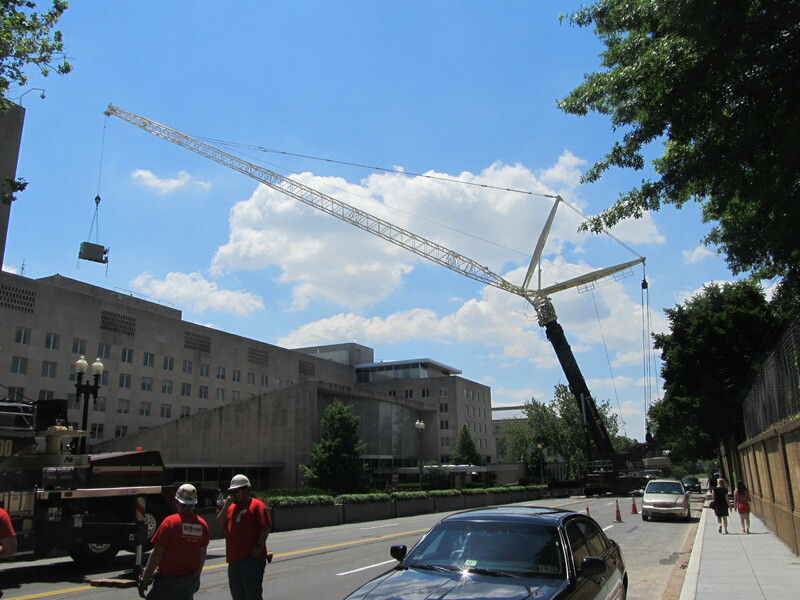 Steam to Hot Water Conversion at U.S. Department of State Headquarters - Min Engineering, Inc.
Min Engineering, Inc. provided mechanical, electrical engineering design and construction administration services for the U.S. Department of State Headquarters Building in Washington, D.C. The project included replacement of existing steam boiler and air handling units with heating hot water boiler. Design of gas-fired condensing boilers, circulating pumps, air separator, expansion tanks, heating water distribution piping and water treatment systems were provided. This project was awarded the 2015 Craftsmanship Award from the Washington Building Congress.